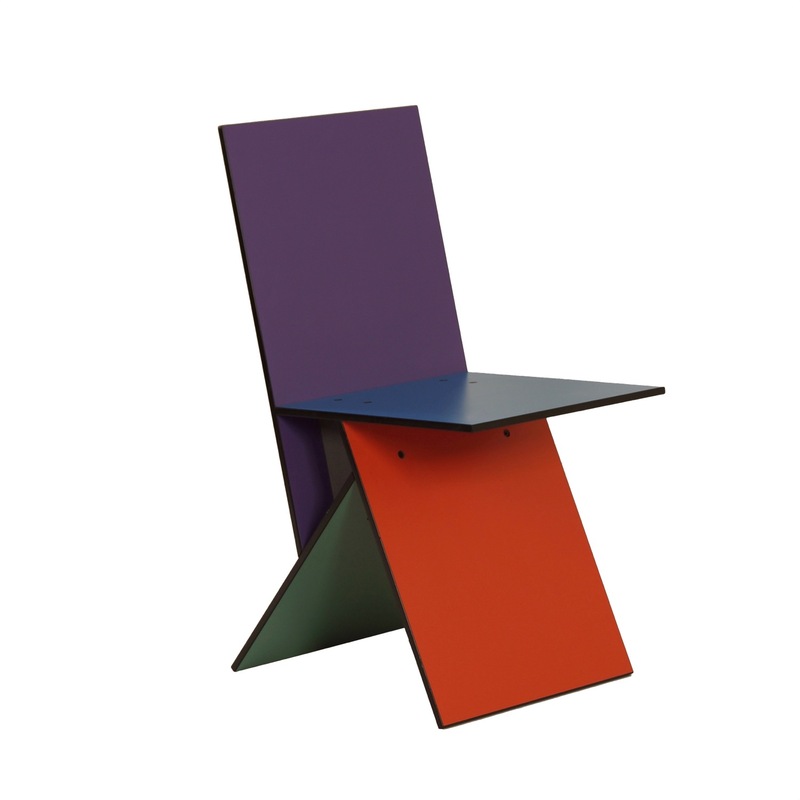 Rare Vilbert chair designed by Verner Panton for Ikea in 1993. This multi-coloured chair was in the children’s room and is because of that still in very good and original condition. Only about 4000 of these chairs where manufactured (1993-1994). Material: strong quality MDF plates with Formica (melamine). Colours: blue, green, purple and orange / red. Source: Book Verner Panton, page 276.